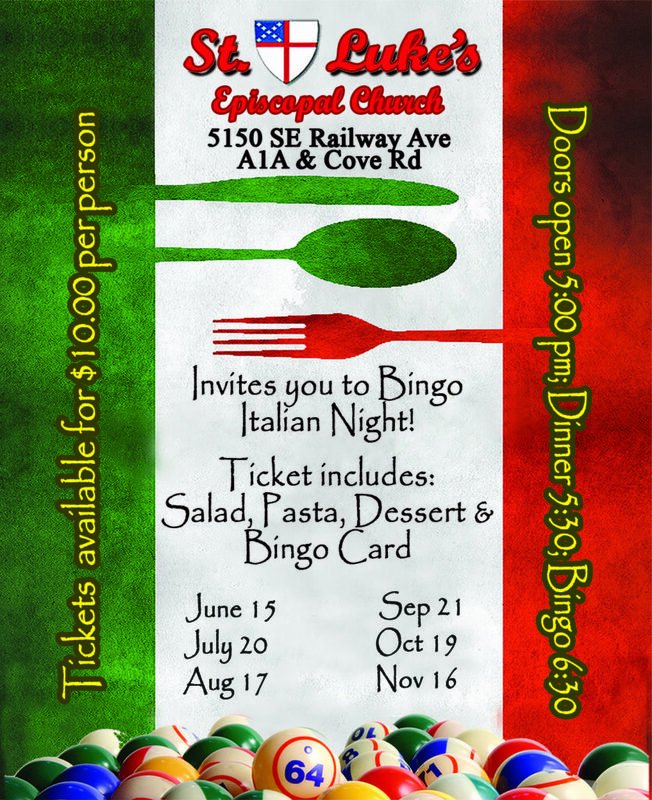 Bingo Italian Night will be Thursday, Nov. 16 at St. Luke’s Episcopal Church, parish hall, 5150 S.E. Railway Ave., Cove Road at State Road A1A (behind Church of God), Port Salerno. Doors open at 5 p.m.; dinner at 5:30 p.m.; Bingo, 6:30 p.m.
Tickets: $10 per person, includes salad, pasta, dessert and Bingo card. Beer, wine and soda are available for purchase.